Do you have an assignment that requires you to explore the pros and cons of a controversial issue such as gun control, immigration, or health care reform? Do you have to write a persuasive or argumentative essay, or take a side on an issue for a speech or a debate? This website provides suggestions for finding reliable information on topics of current interest. This database contains a frequently updated list of "Hot Topics." Log in: Borrower ID = MDC student number ; PIN = last 4 digits of MDC student number. Scroll down, then click "Hot Topics" in the lower left corner of the screen. This database contains an extensive list of current issues. Click "Browse Issues" in upper left corner of screen. Includes resources for conducting library and internet research, evaluating sources, avoiding plagiarism, citing sources, and writing effectively. What is the Difference Between an Argumentative and Persuasive Essay? The MDC Libraries provide free access to over 100 databases containing popular and scholarly periodicals, ebooks, videos, and other types of information resources. 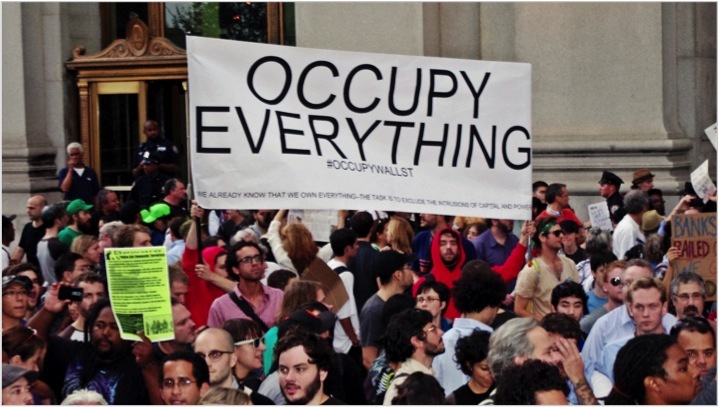 The following databases are best bets for finding information on controversial issues. To log into a database: Borrower ID = MDC student number ; PIN = last 4 digits of MDC student number. Many of our databases include special features that are often overlooked. The following suggestions can be helpful for researching controversial issues. This database contains a Special Reports section that focuses on topics of current interest. Once logged in, scroll down and click "Special Reports" in the lower left corner of the screen. Demographic statistics can be useful when preparing an argument for an essay or debate. This database offers many options for generating reports of demographic information such as income, housing, race, age, education, retail spending, and more. Helpful video tutorials are included. This database contains a collection of full-length debate videos featuring leading authorities and experts debating the major issues of our time. 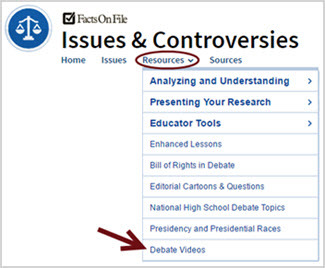 Once logged in, locate the "Resources" drop-down menu, then select "Debate Videos." A website that presents news articles from the left, center, and right of each issue. Independent research, recommendations, and analysis on a full range of public policy issues. Published by the International Debate Education Association (IDEA), the Debatabase website provides background, arguments, and resources on a variety of debate topics. Each video features two teams of experts arguing for and against the most important public policy issues facing America today. Research on U.S. politics and policy; journalism and media; internet, science and technology; religion and public life; Hispanic trends; global attitudes and trends; and U.S. social and demographic trends. ProCon.org's mission is to promote critical thinking, education, and informed citizenship by presenting controversial issues in a straightforward, nonpartisan, primarily pro-con format. Frequently cited by journalists, public officials and researchers, the independent Quinnipiac University Poll regularly conducts surveys about political races, state and national elections, and issues of public concern, such as schools, taxes, transportation, municipal services and the environment. This site provides links to statistical information about the United States. You might be familiar with using Google Scholar to search for information from scholarly sources, but did you know there's a trick to making it even more useful? This video shows you how to plug Google Scholar into our library databases for increased access to full text materials. See also: Google Search Operators and Google Search Tools and Filters for helpful Google search tips. If you are a currently registered MDC student, your MDC ID card can be used for borrowing privileges at the Florida International University Libraries. 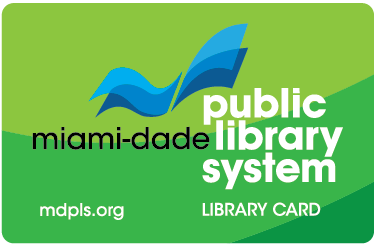 If you are a resident of Miami-Dade County, you can apply for a public library card that can be used at all branches of the Miami Dade Public Library System. 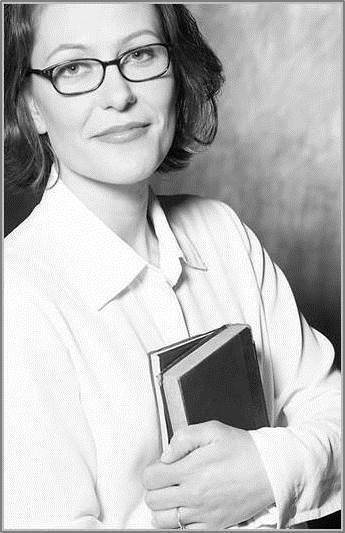 Librarians are available to assist you. How helpful is this web page for you?